Hello, my name is Jessica and I have been making cards for about two years. I am happy to share with you a card I made for several of my friends and family this holiday season. This is my first tutorial and I hope you enjoy it as much as I enjoyed making it for you. 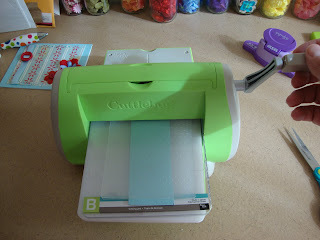 Step #1- Using your Cuttlebug D’vine swirl embossing folder, emboss the blue side of Quack pattern paper. Step #2- Using adhesive, glue blue cardstock paper to blank card. 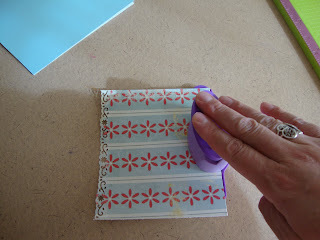 Use a border punch on your pattern paper along the long sides. 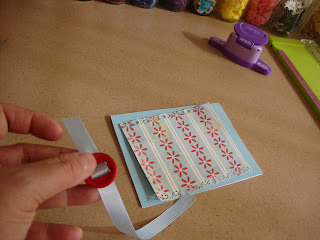 Step #3- Slide blue ribbon on your ribbon slider and adhere to the back of the pattern paper. 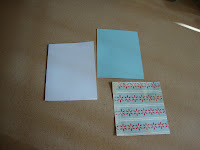 Step #4- Using adhesive, attach to the blue embossed paper. 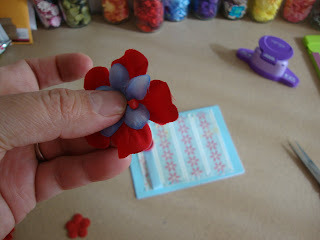 Step #5- Attach brads to flowers using Craft ½ glue dots. 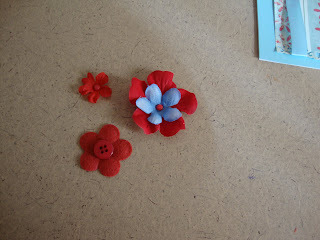 Here I have also used red buttons in the center of the flowers. 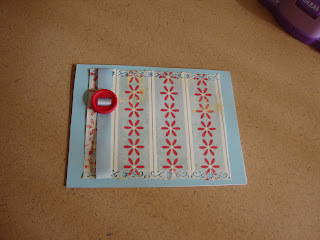 Step #6- Using the glue dots, adhere them to the side of your card. 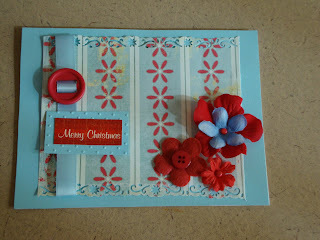 Step #7- Glue your sentiment on top of the blue ribbon with adhesive. 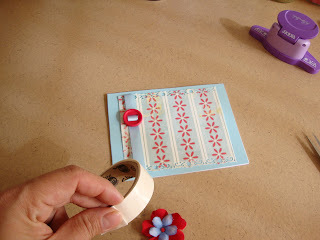 Step #8- Attach your berry sprig with glue dots and hide under the flowers. Thank you and I hope you had fun with this tutorial. If you make a card using this as your inspiration, please leave a link in the comments! We would lvoe to see it! Check back tomorrow for another great tutorial!!! Very pretty! Love love the flower "cluster". What a wonderful job for your first tutorial. I love the card. That design is something that could be used all year long with just a minor adjustment on the sentiment. So glad you joined us for the GDT, you did a great job! cute card! Love the berry sprig! Very pretty card. love the flowers. what a fun card and congrats on your first tutorial! you did a fab job! What a beautiful card! I love blue in Christmas cards. D'Vine Swirl is my favorite embossing folder. Thank you so much for joining us this week! Wow Jessica...this is so pretty!! Thanks so much for sharing!!! Wonderful job Jessica! Love how you put your tutorial together! Your card is beautiful! What a great job on your first tutorial! Every little detail is so amazing! 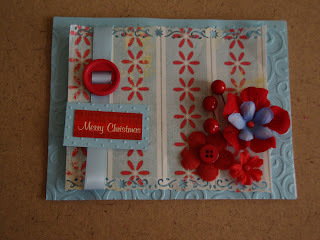 The flower clusters, the swirl background and the border punch all make this a very beautiful card!